AVFRD is happy to support Boy Scout Troop 58 (http://troop58ashburn.camp) by providing them with a permanent meeting place. Founded in 2014, Troop 58 is an active troop with monthly outdoor events, regular service projects that assist the community, and a number of other activities that help mold local boys into upstanding young men. 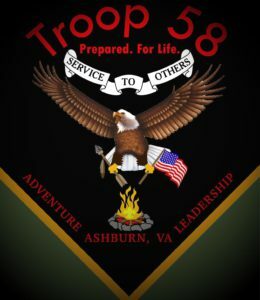 Troop 58 meets Tuesday nights at 7:30pm in Founders Hall; stop by anytime to meet the members of the Troop or you can contact them via http://troop58ashburn.camp/contact/ if you have any questions.